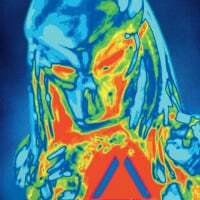 Studio ADI are releasing a headbust of Kyle’s Emisarry Predator 😍😍😍. Everytime I see something come up about the Emissary Predators, the larger the support for the release of the Emissary Predator version there is. I will remain confident that someday we will finally get the true version of this movie. The petition as it sits has 425 signatures and counting. @Xenomorph You should probably get this as well. 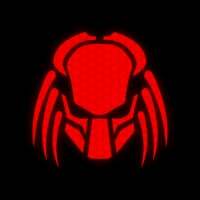 @AlphaPredator sorry if I post a lot about the Emissary Predators. I love watching Studio ADI stuff on YT. They’re great. 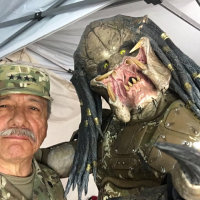 And, I’m with you... seeing others still doing things with anything Predator related, does make a person feel better. 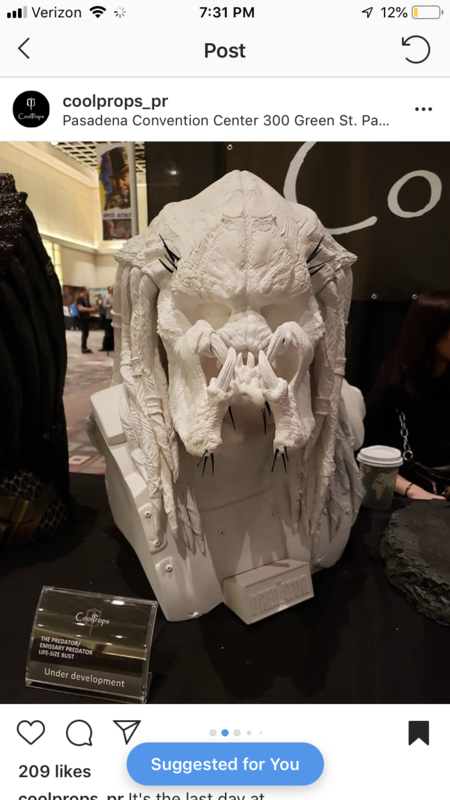 @JohnTheEmissary I saw this first hand at Monsterpalooza on Saturday. Good stuff. Posting pics in a few. @AlphaPredator Can’t wait to see them. And I know I’m obsessed with wanting to see the Emissary Predator version of the movie 😂🤗. @JohnTheEmissary you are not the only one obsessed with the Emissary Cut! I have two questions about the Emissary bust; how much will it cost and when does it become available for purchase? @StarWarsNerdASR Probably $1300 just like the Fugitive bust. Not sure when it’ll be released. @JohnTheEmissary Well then, time to start saving!